The Washington, D.C., office opened in 1971 with two lawyers who focused on labor and employment law. 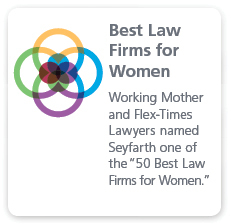 Since then, the office has grown to over 50 lawyers, with practices spanning government contracts, construction law and litigation, labor and employment, employee benefits, ADA Title III, immigration, corporate, real estate, commercial litigation, patent prosecution and intellectual property litigation. Many of our practice areas are led by recognized leaders in their fields and include several attorneys who are repeatedly recognized in Chambers USA and Legal 500 as top practitioners. 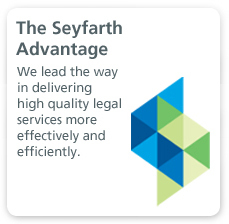 Our attorneys come to Seyfarth with a wide range of experience and background. They include former high-ranking officials from the Department of Justice, Department of Labor and the National Labor Relations Board; licensed architects; adjunct professors; a certified public accountant; and an Army Judge Advocate. Lawyers in the Washington D.C. office work on a diverse array of pro bono matters that include everything from assisting asylum seekers to drafting wills for low-income seniors to advising non-profit organizations in corporate, real estate and employment law. We have proudly partnered with Capital Area Immigrants’ Rights Coalition, the Legal Aid Society of D.C. and Kids In Need of Defense. In recent years, the vast majority of associates in the D.C. office have devoted their time and skills to pro bono matters. 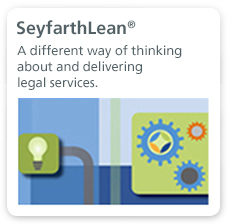 Seyfarth is also committed to playing an active, positive role in the communities in which we work and live. In addition to our pro bono legal work, the Washington, D.C., office participates in a wide variety of charitable activities The Charitable Giving Committee, comprised of attorneys and staff members, organizes many opportunities throughout the year, including making sandwiches for Martha’s Table, hosting arts and crafts “Atrium Events” at Children’s National Medical Center, participating in monthly Jeans Day fundraisers for a variety of nonprofits, participation in various walks and runs, and sponsorship and group participation in Hands-On DC's annual work day to beautify local schools. We also hold an annual clothing drive for Gifts for the Homeless, and have participated in its annual “Battle of the Law Firm Bands” to further support the organization and raise additional funds.